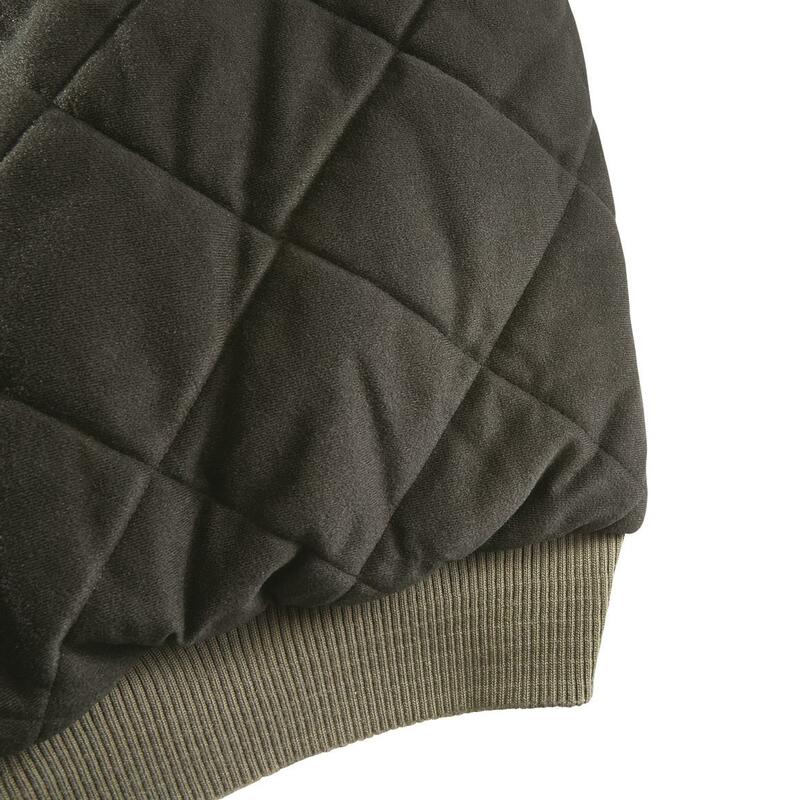 Tough, warm, and water resistant. 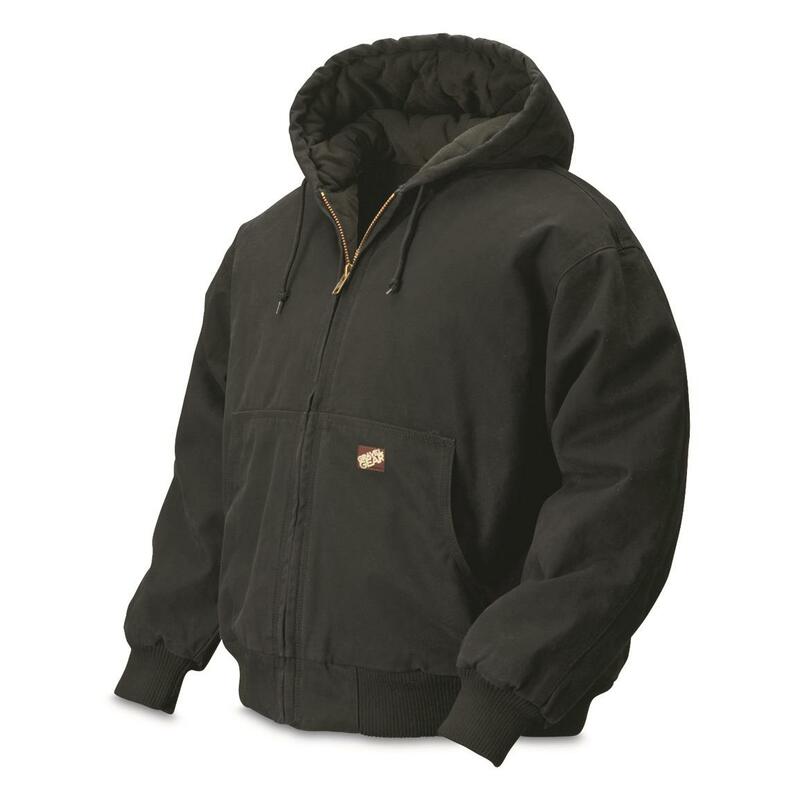 Tackle tough jobs, whether on the clock or working at home, with the rugged warmth and durability of this versatile Gravel Gear® Tundra Insulated Work Jacket. Its tough, 12-oz. 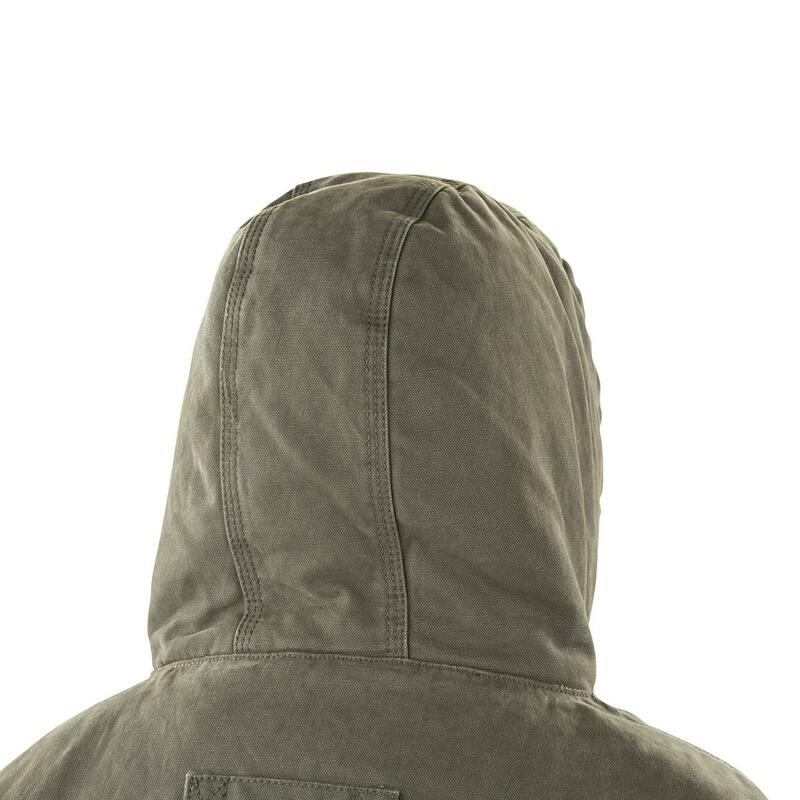 washed cotton duck shell with weather-resistant treatment and triple-stitching is ready for whatever comes your way. Plus, 8-oz. 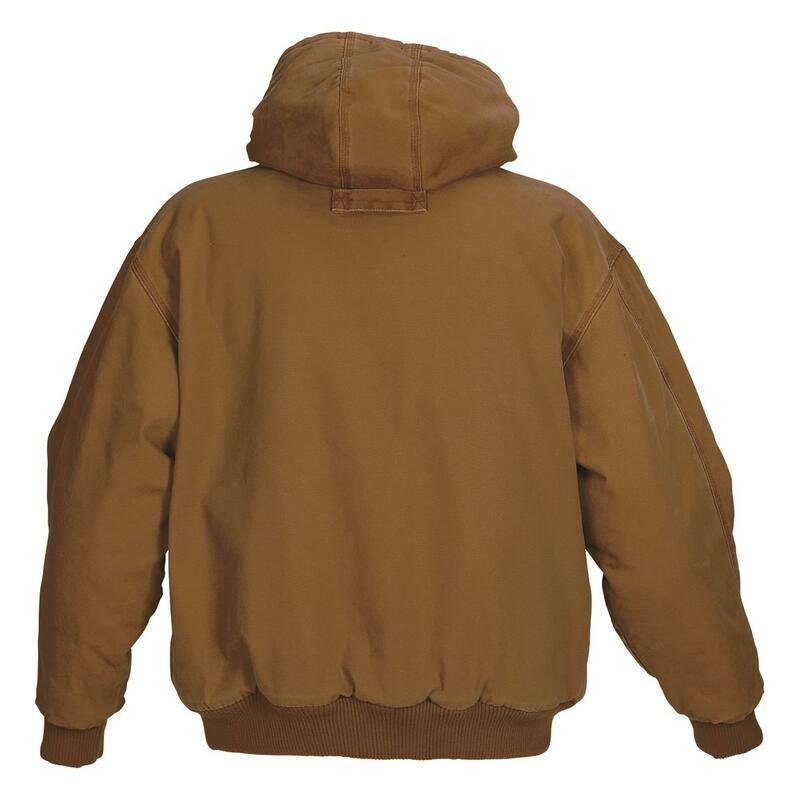 polyfill insulation in the body and 6-oz. 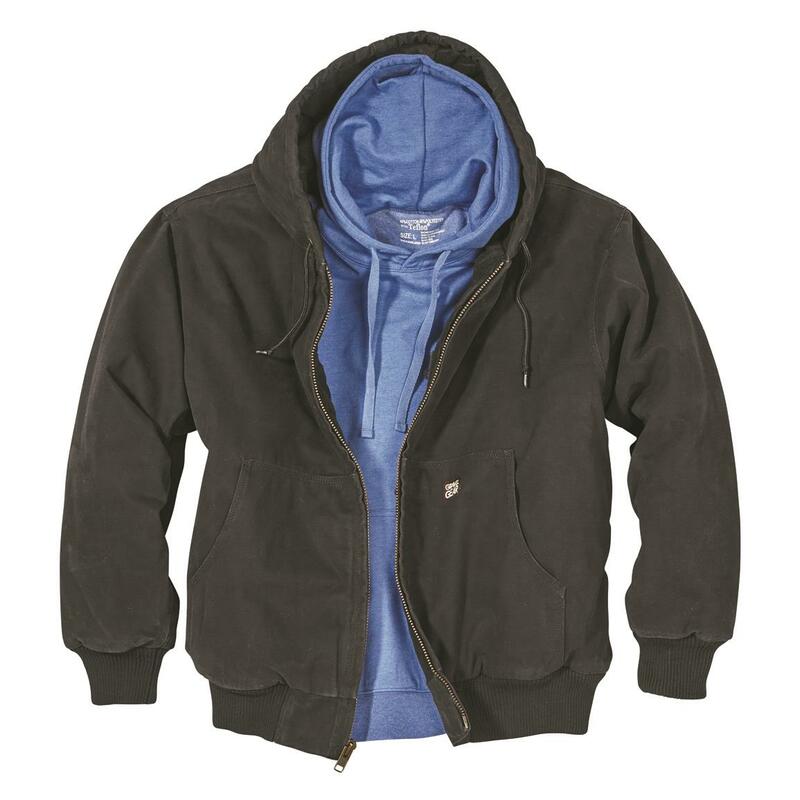 in the sleeves gives you the advantage when the mercury dips. 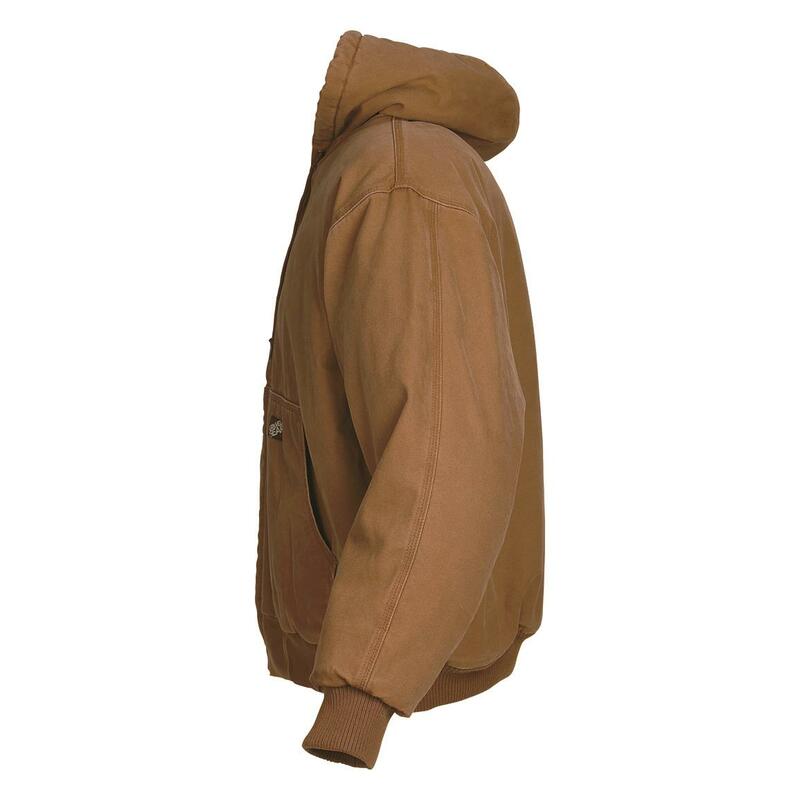 Polyester tricot body lining wick moisture, while nylon taffeta sleeve lining makes for easy on/off. It all adds up to excellent 3-season performance and value. 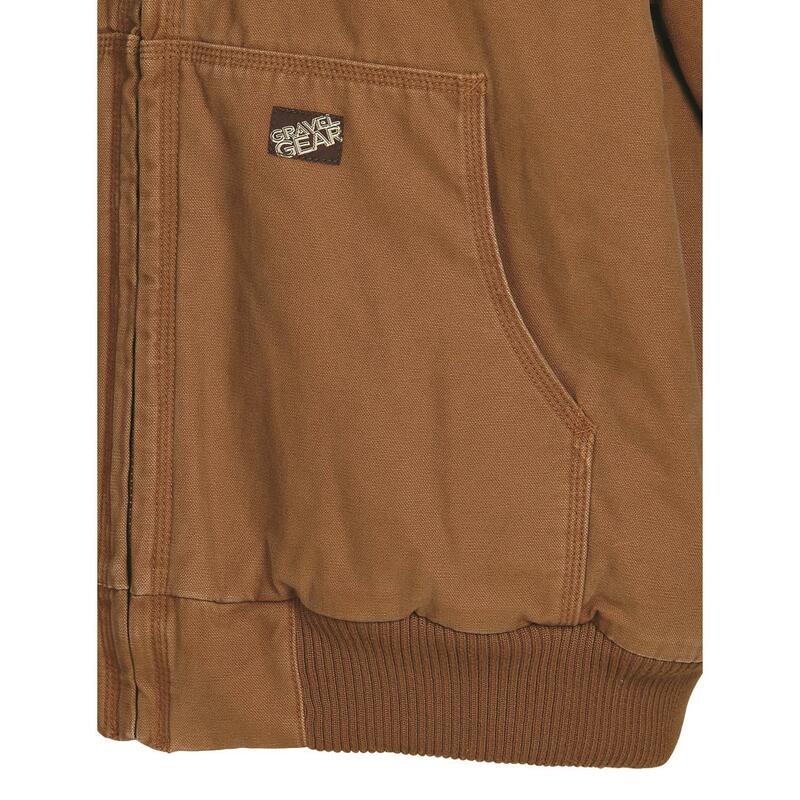 Durable, weather-resistant 12-oz. 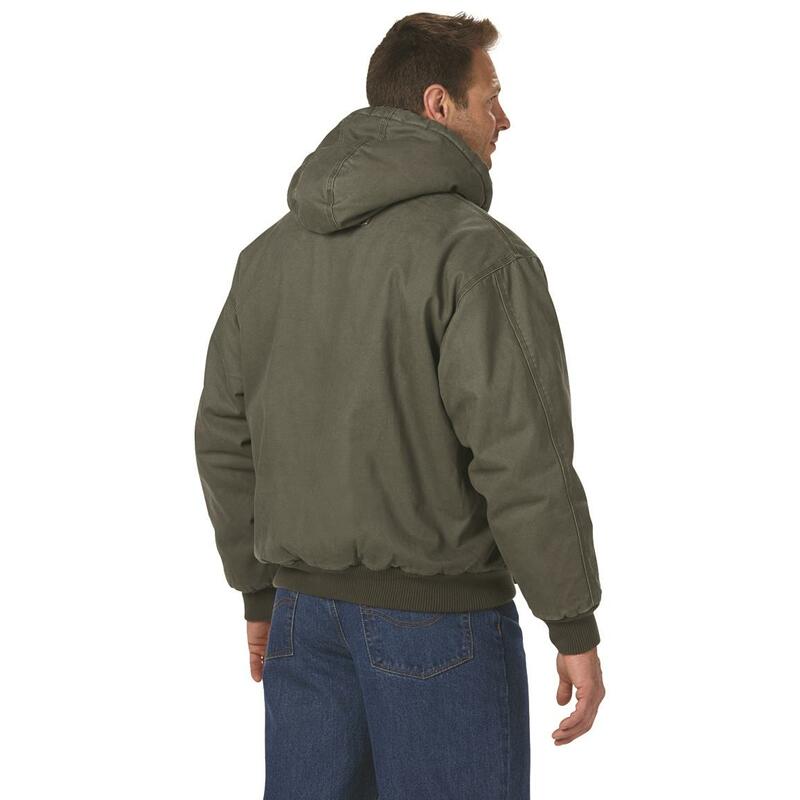 cotton duck and triple needle stitching at all stress seams means this jacket is as tough as it gets and is going to be around for a while. 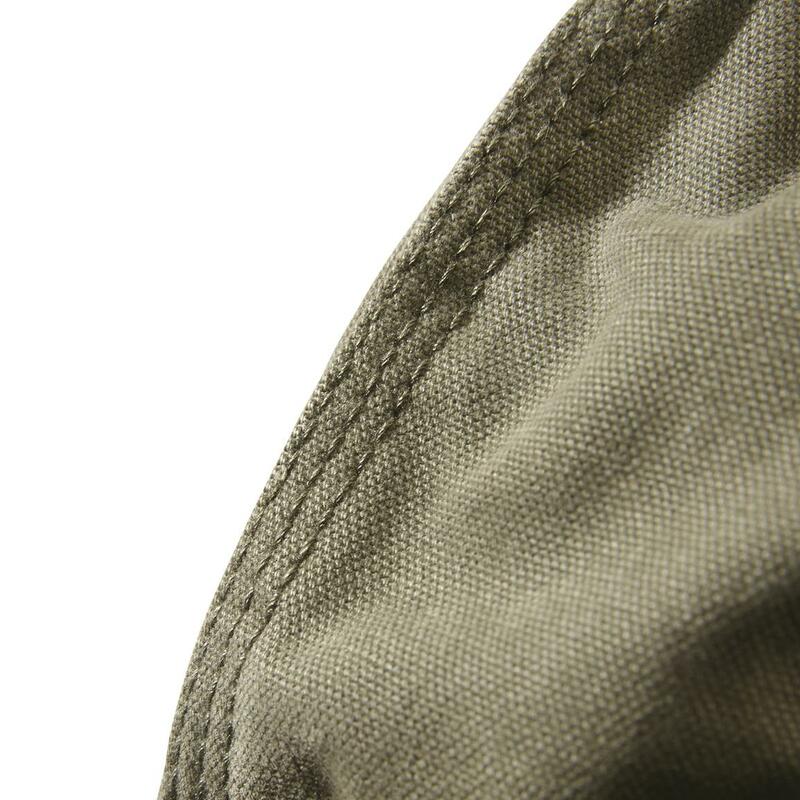 Inside, 8-oz. insulation in the body and 6-oz. 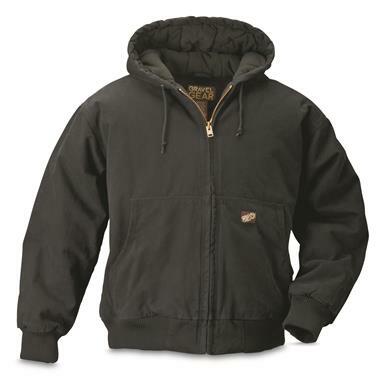 in the sleeves ensures dependable warmth on cold work days. 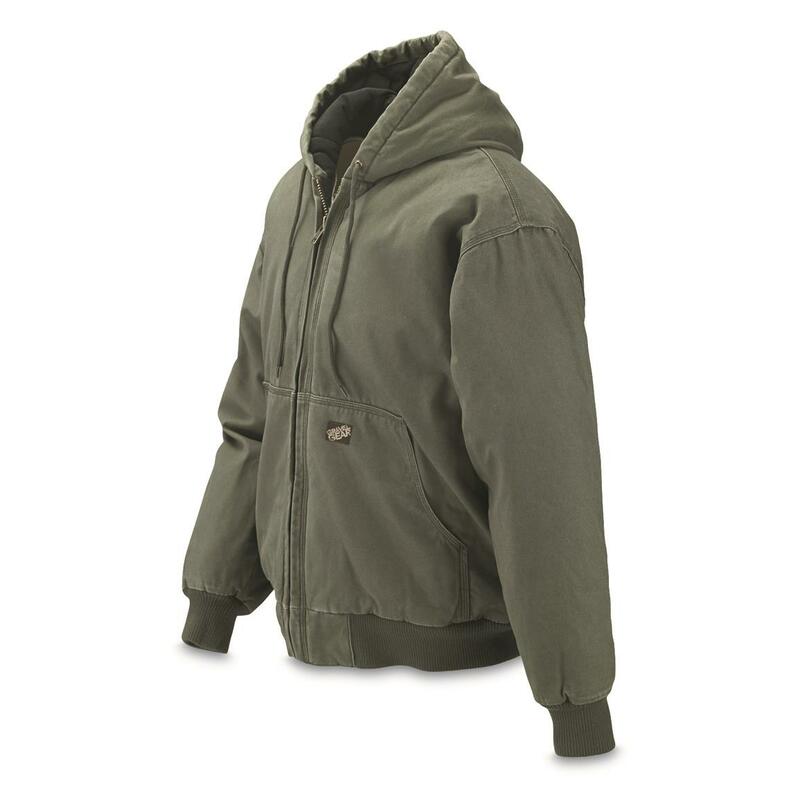 Plus, polyester tricot lining wicks away moisture to ensure you stay dry. 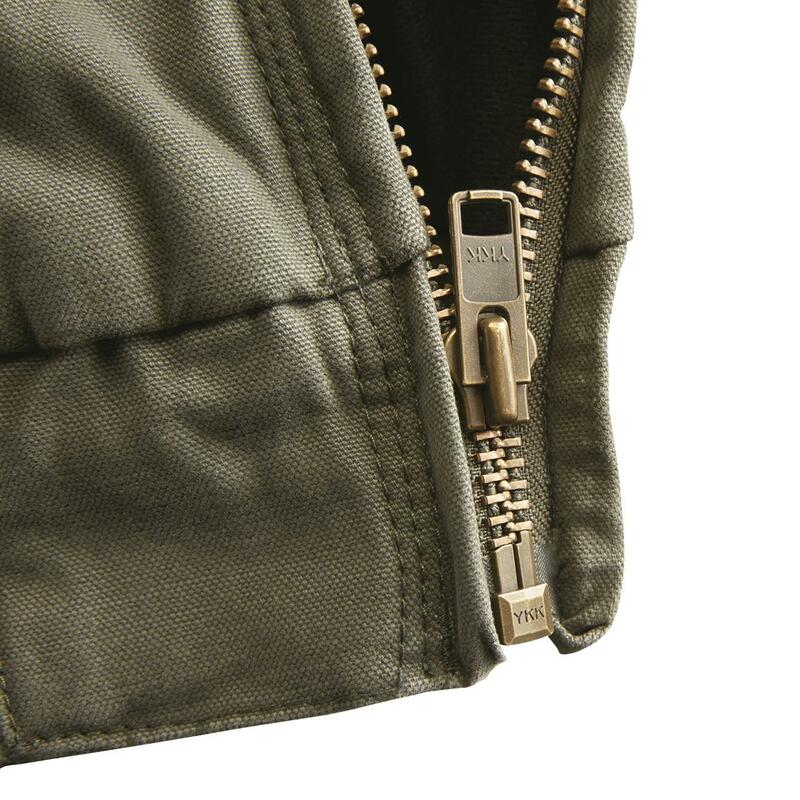 And an industry-proven, top-of-the-line brass YKK zipper adds to its durability. 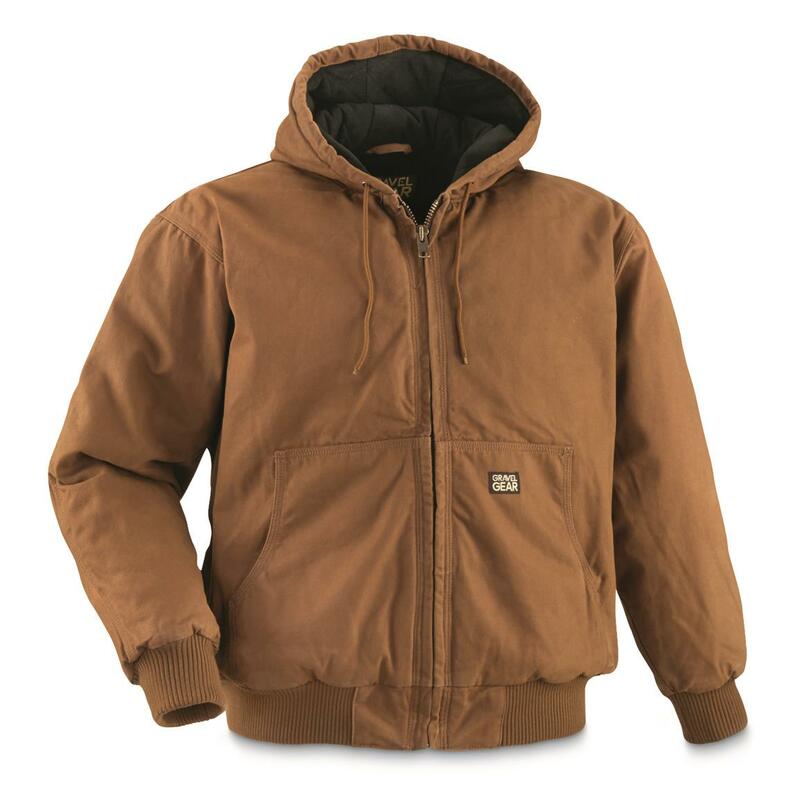 Simple, dependable features and design make the Tundra a favorite among working men across the USA. 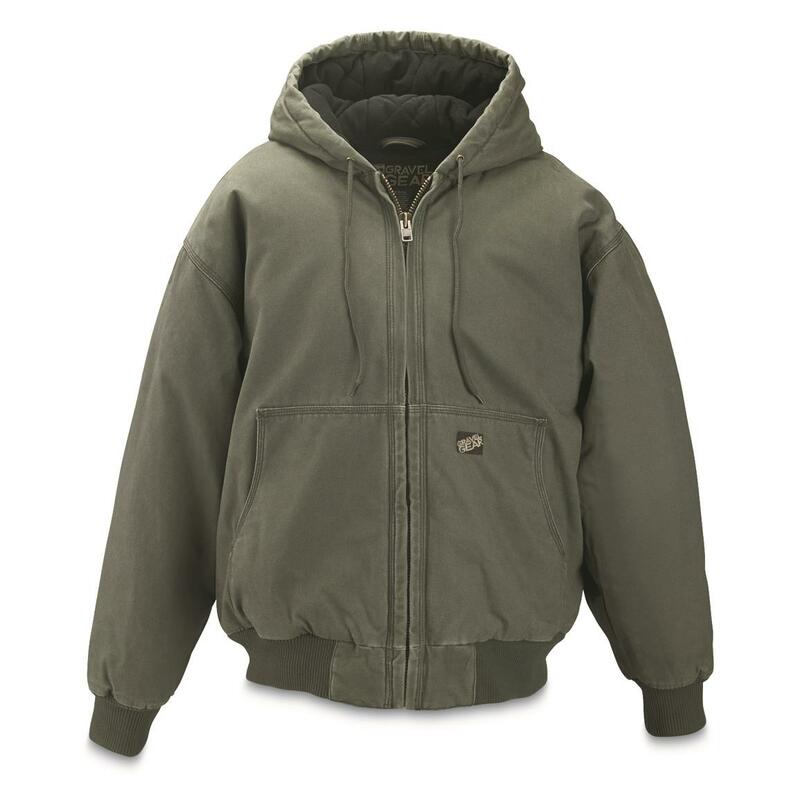 Three-piece insulated hood with drawstring front provides welcome protection against cold wind. 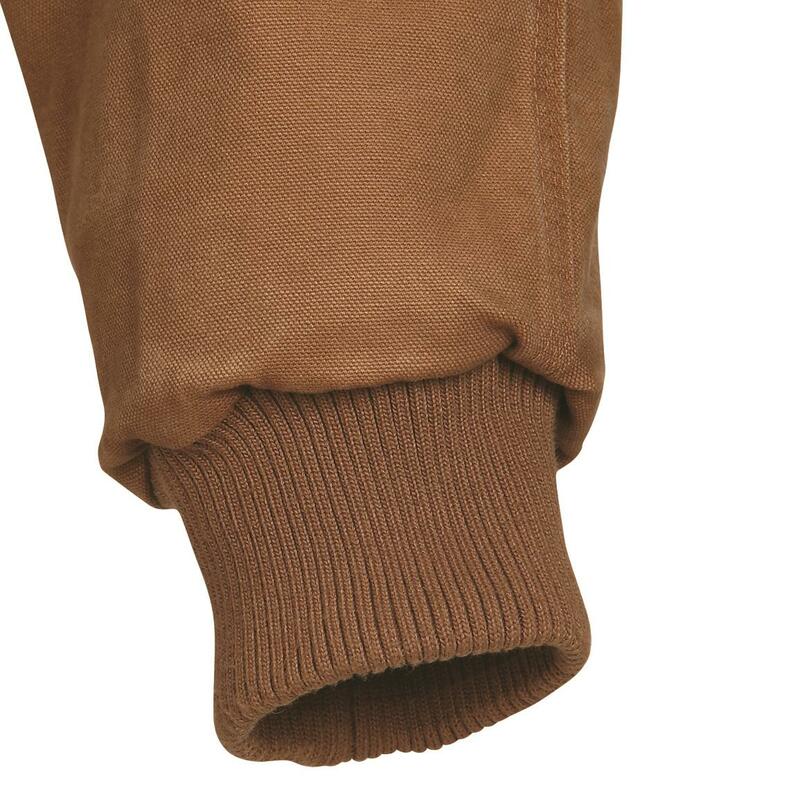 Plus, rib-knit cuffs and waist provide an additional measure of defense against the chill. 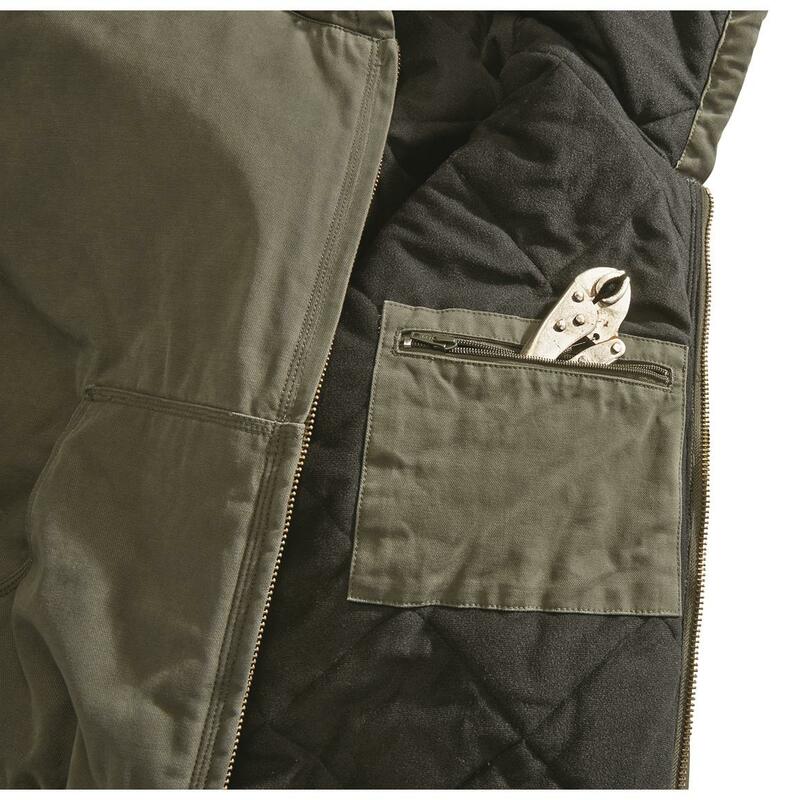 Deep well front pockets function as hand warmers and storage compartments, and a handy, zippered interior pockets keeps essentials secure. 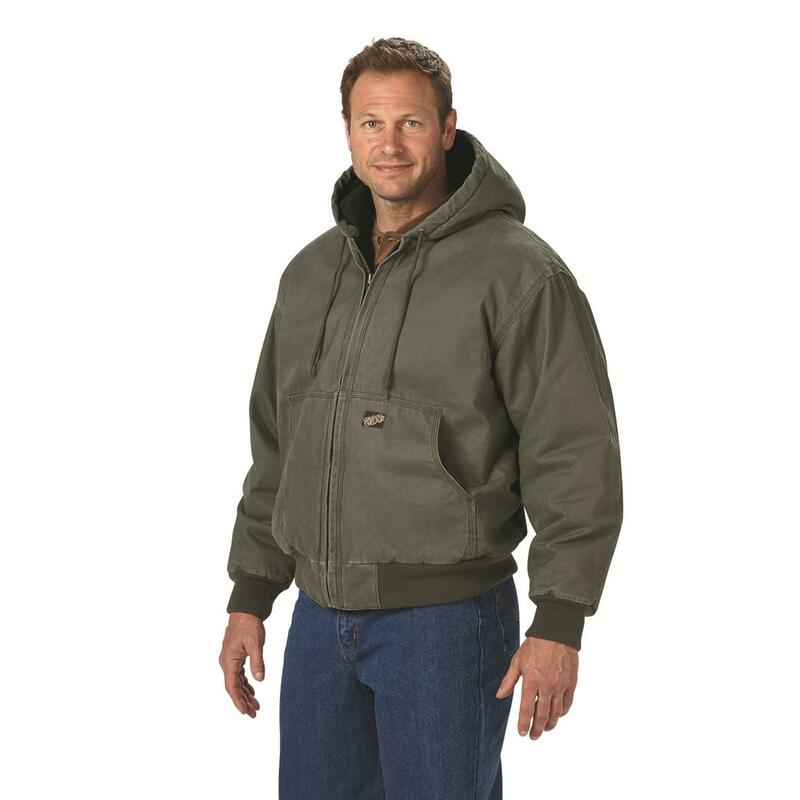 Gravel Gear Mens Tundra Insulated Hooded Jacket is rated 5.0 out of 5 by 1. Rated 5 out of 5 by lyle1955 from Very warm!! 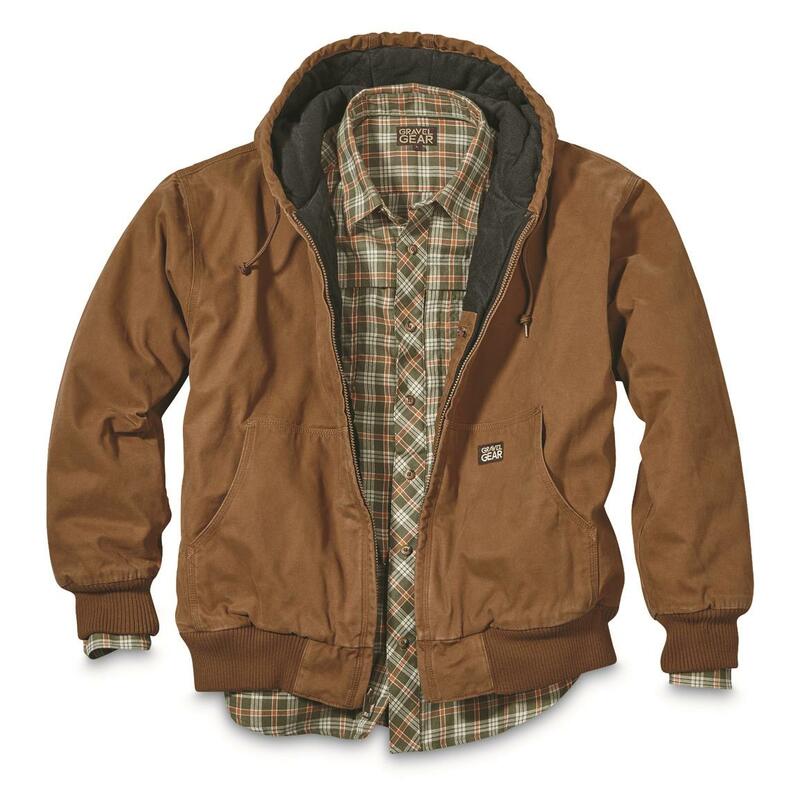 I bought one of these jackets last year, it is the best jacket I have. It is better than my Walls jacket. 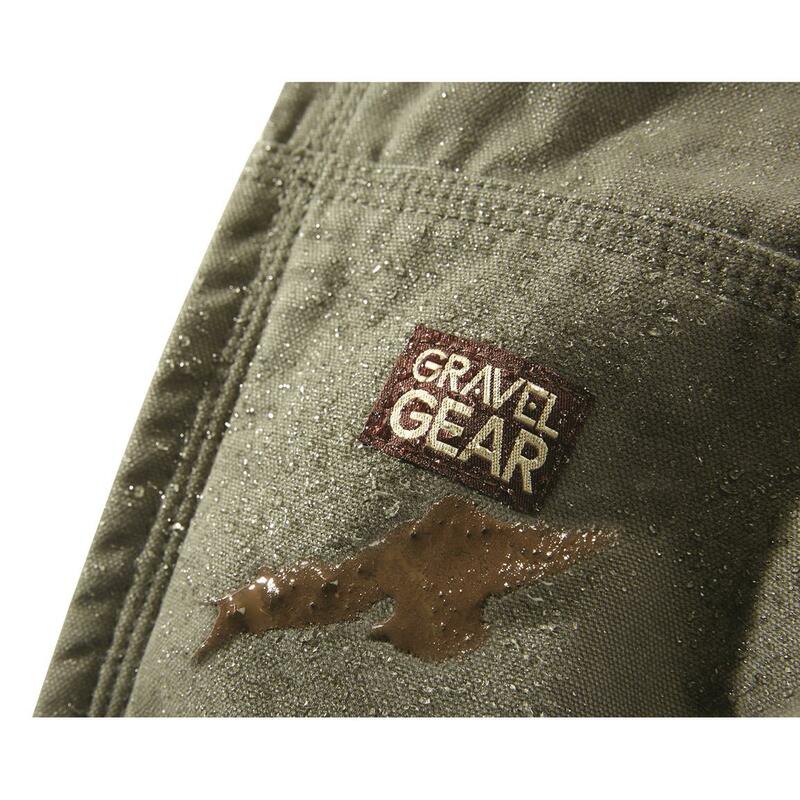 The ultimate in lightweight, packable rainwear.